Dr. Robert Eyler of Sonoma State and Anthony Lopez of Seismic Brewing are our guests on Brew Ha Ha with Steve Jaxon, Mark Carpenter and Herlinda Heras. Dr. Robert Eyler is Professor of Economics and, Director of the Institute for Regional Economic Analysis, Dean of the School of Extended and International Education at Sonoma State University and he also oversees the Craft Brewing Program as part of their workforce development program, which is part of their Professional and Non-Credit Program. Steve asks Prof. Eyler how the region is doing after the fires of last October. He replies that they have begun the rebuilding process, with some houses going back up. But they are not sure if all the insurance money necessary to rebuild will be available. He expects the labor market will be tightening later this year. Steve also mentions the continuing fire danger that they all live with, even outside of so-called fire season. Prof. Eyler mentions that Lake County has had a major fire each of the last three years and they need a break. 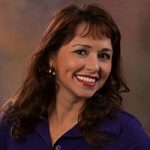 Herlinda Heras is Program Coordinator of the Sonoma State University Craft Beer Program which will be focusing more on the business of beer in the next class that they do. Herlinda invited Dr. Eyler onto the program to describe how beer contributes to tourism and ongoing economic development locally. He tells how the major industries are closely tied to the local residents. There may be some reallocation of people and businesses and that brewers may find the area to be fertile ground for development. Herlinda is just back from Nashville and visited all the famous places, including Robert’s Western Wear in downtown. Steve welcomes Anthony Lopez from Seismic Brewing, who says their mission is to produce world class brews in a sustainable fashion. Their first anniversary is May 19 this year. They don’t have a brewpub, so they can focus on quality. They are about to open a brewpub in the Barlow in Sebastopol, he hopes in September of this year. Anthony has brought some food, from their beer dinner series, where they are doing events in different locations around town. 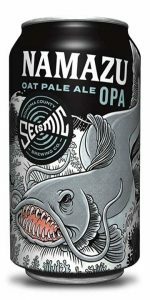 He took a beef kebeh recipe that he got from a friend, and he suggests pairing it with the Seismic Brewing Co. Liquefaction Kolsch beer, which they are drinking now. Herlinda Heras was in Nashville last week for the Craft Brewers Conference and biannual World Beer Cup, where two local Santa Rosa breweries won big, including Third Street Ale Works which won a Gold Medal for their English style Pale Ale, and Cooperage which won Gold with an American Style Imperial Stout. Mark Carpenter mentions that if you’re going to make beer in Santa Rosa, it had better be good, because you will have a lot of competition. 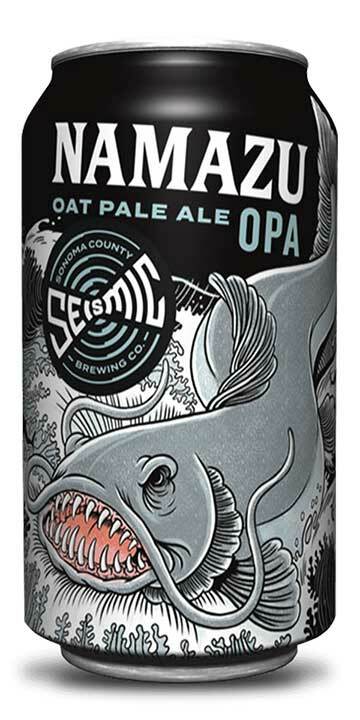 Now they taste a Namazu Oat Pale Ale, or OPA, from Seismic Brewing. It has a little bit of flaked oats in the mash, for body and texture. Mark says it doesn’t have the bitterness of IPAs and 4.8% alcohol. 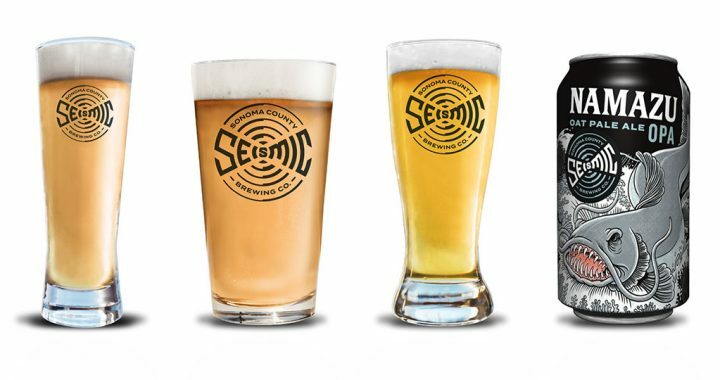 Seismic Brewing is starting a Beer Dinner series, with the first event coming up tomorrow. One item is Fried Chicken and Waffles that they pair with a lager-fermented dry-hopped German lager with a light lemograss flavor. They are bringing in the chefs from KJ (Kendall Jackson). The name of the series is Breakfast for Dinner and features some foods that are normally associated with breakfast. Mark jokes that it means beer is not just for breakfast anymore. Then they are doing a beer dinner with John Ash with some very exotic flavor combination between the beers and the food. Then they will be working with Cocina Latina in Healdsburg, with their friend Mateo. Anthony is tasting a Pan de Cazón Empanada paired with their Megathrust IPA, their draft-only IPA. There will be six or seven different Tapas. Herlinda mentions that Seismic Brewing Co. is using sustainable methods and recycles their water using the Cambrian system. This was an early decision by their founders, to utilize new technology to allow that. Their water reclamation system allows them to recycle all their wastewater. It takes 5-7 gallons of water to make one gallon of beer, and they are lowering that score by more than half so far, with this method. Mark says in the old days they used to use 10 gallons per gallon of beer produced, because water was not scarce then as it is now. Over the years they reduced that number significantly too. Steve quotes from their website, “Our Seismic Mission is to brew uniquely flavorful, outstanding craft beer, while re-writing the books on sustainable brewing.” They describe all the techniques and technologies they have implemented, which they were able to do because they designed this new brewery from the ground up using all new technology. They pack beer in cans which Mark describes has many advantages. Anthony closes with a shout-out to Piggy Smalls, the Seismic Brewing mascot. 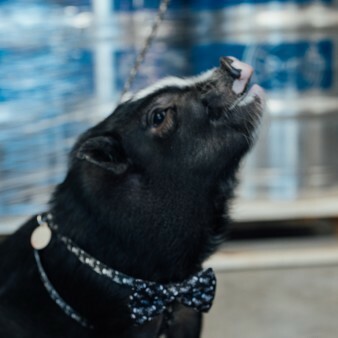 Piggy Smalls, Seismic Brewing mascot.